We did it! We finally completed our Disney World trip. I had written about how we were planning a trip to Disney, along with some follow-ups along the way, and we finally completed our trip last month. I want to share our experiences and thoughts, but since we did so much, I’ll do multiple posts. Today is our first post. Here I will talk about two of the four parks, concentrating on some of the rides and attractions. I’ll try to do a post every week over the next few weeks. Hopefully this paints a full picture of our trip when all are complete. 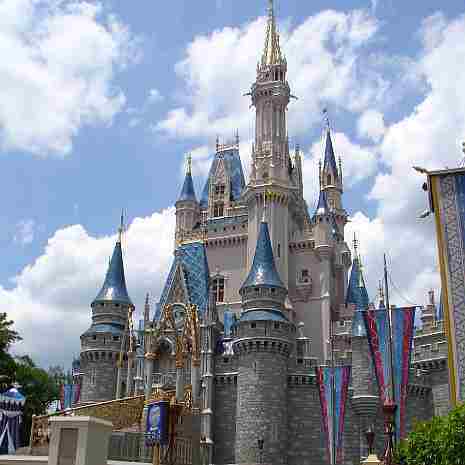 The original park and by far the most popular, Magic Kingdom remains the iconic experience of Disney World. I checked some unofficial attendance history, and Magic Kingdom far exceeds that of any of the other four parks, and with good reason. We spent various parts of at least four days there, and there was always something to do. We repeated a few things, but between all of the activities, rides, characters, and everything else, we still didn’t get to anywhere near the full list of attractions, though we did hit some more than once. Barnstormer. The Goofy themed thrill ride was our kids first introduction to a ‘roller coaster’ type ride. Since it’s so short (only about 30 seconds), it was a perfect introduction. We figured if they didn’t like it, at least it wouldn’t last long. As it turns out, there were no worries! Our kids had a blast, and we quickly found out that the more thrilling, the better! We went on this ride multiple times. Though it’s short and sweet, it was one of our favorites. My son declared this his favorite ride. That’s saying a lot. Mine Ride. Another thrill type ride, and much longer. In fact, this one seemed to slow down at least twice to let you think that you were done, only to have it pick back up. Lots of twists and turns but nothing jarring. My daughter said that this was her favorite. It’s A Small World. This is one of the most iconic Disney rides. It’s much different (and better) than it was when I last went on it in 2008. They definitely modernized it, made it a little more informative, and a little less repetitive. It’s a very cool ride! Pirates of the Caribbean. This ride has been modernized to bring in the Johnny Depp characterization. It was a lot of fun…the second time we rode it. The first time we went on, the boat that we got in (it’s a floating ride) had about 3 inches of standing water. We ended up with soaking wet feet. It must have been a fluke. When we went on again, the boat was bone dry, so the first time was obviously some sort of glitch. Space Mountain. My daughter was too little for this one. So, we decided to split up. I got to take my son on this one. He loved it! It’s definitely still a classic and worth a wait in line. Dumbo. One of the classic rides has been improved with a recent expansion of the Fantasyland area. There are now two Dumbo’s, which doubled the capacity. This is a classic ride that appears brand new, so you get the best of both worlds. Very fun! Under the Sea. This is a newer ride that tells the story of the Little Mermaid. It was a very relaxing ride and done very well. We really enjoyed it! Railroad. On our last full day, we decided to do a marathon day. Thus, we found ourselves at the park nearly 14 hours. At one point, we needed some downtime, so we got on the railroad and went around the park. This took about 25 minutes. It was made a bit more lively due to a frog that had come aboard, and was busy hopping around the outside of the car, not caring that the train was in motion. One acrobatic frog! We did so much more at Magic Kingdom, but these were some of the better highlights. We only spent one day at Epcot as a family. We had originally planned on a half day addition, but ended up cutting it back, and nobody complained at all. It’s a great park, but it’s huge. It’s really two parks in one. The nations and the learning areas could each be their own park. So, plan accordingly! Test Track. Here you spend some time designing your own concept car during the first part. Then you move along and take it for a ‘test drive’. It’s a lot of fun, and the kids loved both elements. This can get very busy. Soarin’. This is one of my favorite rides. You are taken through various parts of scenic California as if you’re flying. You swoop in and through the Golden Gate Bridge, the mountains, the deserts, the beaches, and so much more. It’s thrilling and relaxing at the same time. I understand that Disney will be giving it an update soon. Spaceship Earth. No trip to Epcot would be complete without a ride inside the iconic Epcot ball. It’s not a thrill ride, but very informative and fun. The kids had a great time. Mexico Ride. A few of the ‘countries’ have their own rides. We stopped in for the Mexico ride, and I was honestly surprised and not in a great way. While it was meant to be ‘fun’ with the Three Caballeros (featuring Donald Duck), I thought it was kind of tacky. In fact, it was close to borderline offensive…and I’m not Mexican. Living With the Land. This was a floating ride. On it you learn a lot about the Earth and ecosystems and how they fit together. You also see science at work with things that Disney does and research that is going on. It covers how humans can grow food and such without being invasive to animals. It’s very educational for all ages. Both parks were awesome and we had a great time. Come back next week for the reviews of the other two parks, Hollywood Studios and Animal Kingdom. This Woman Needs Some Christmas Spirit, Pronto! I’m actually hoping that these reviews will keep the memories somewhat fresh over time! Thanks! We’ve done Disney several times and our kids thoroughly enjoyed it each time. I’d say Epcot was their least favorite of the 4. I’d say they liked Magic Kingdom and Hollywood Studios the best. I was surprised…they really took to the shows at HS. There’s something for everybody, that’s for sure! Yes, they have an incredible transportation system so avoiding the costs of rental cars and parking and such definitely had advantages. We figured at 6 and 4 they would be old enough to actually remember the trip when they get older but still young enough that it was magical. I had some issues around that, or specifically with trying to prevent it, which I’ll go through in detail on a later post! I’ll be following your posts about Disney with interest. There’s a good chance we’ll go (for just a day or two) this summer – as a sort of frugal piggy-back to my husband’s business trip. I’ve never been. Our kids (much older than yours) have never been. It sounds HUGE! We’ll want to pick our options carefully in advance. Your posts will help us to do that. Hope they help and if you have any specific questions, feel free to drop me a line!